The MSIA Prayer List is a place where people can ask that the Light of the Holy Spirit be sent to a person, place, situation, animal, etc., for the highest good. MSIA ministers and many others send the Light to the Prayer List daily. In addition, placing a name on the Prayer List is asking that the Light of the Holy Spirit be sent for the highest good. It is a direct form of prayers to God that happens as soon as a name is added to the Prayer List. Please only enter the names of people, places, or situations. Details are not required, Spirit will know the intent for the Highest Good. You can put the name of a person who is sick on the Prayer List, or the name of someone who has passed away. You can put yourself on the Prayer List for clarity on making a decision, for example, or just because you want a blessing in your life. You can add the name of a city where there is trouble or a natural disaster, or a situation that could use an extra boost of spiritual support. There is no wrong way to place a name on the Prayer List. It is unnecessary to give the reason (problem, situation) for putting a name on the Prayer List; the reason could potentially be on the List long after the Light had already cleared it. The name is enough. The Light will act for the highest good of the person, group, or place being prayed for regardless of the reason. 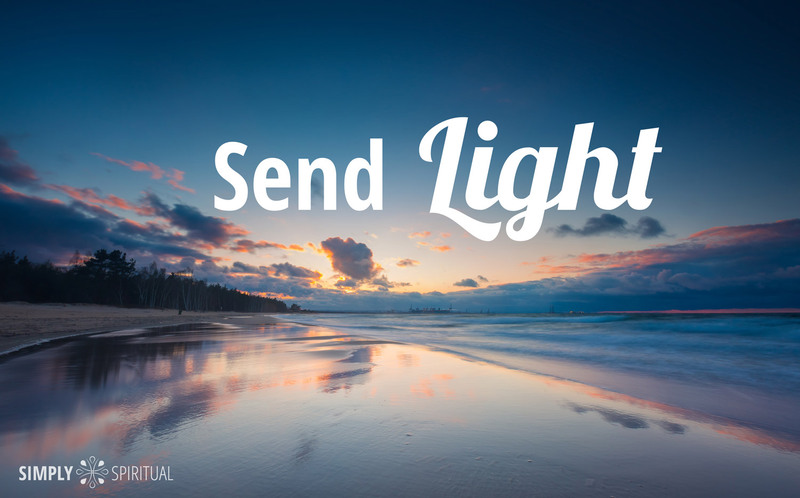 Send Light Now Yes! It’s Free. Stillness is the language God speaks, everything else is just a bad translation.